One of the best ways to prevent long-term foot problems and back pain is to invest in the right pair of walking shoes, especially if you’re a nurse, site engineer, or other professional who stands for several hours on each work day. It’s easy to do some online research prior to buying your work shoes. But it could be more difficult getting it right when you’re at the store trying to buy those shoes. 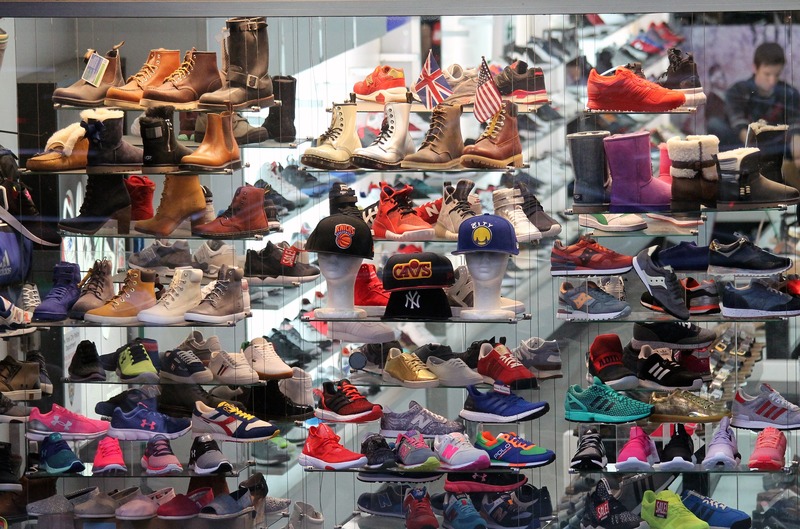 There are some recommendations that can save you the stress when buying your shoes. And in this post, we’ve highlighted five of these helpful tips. Before you buy your shoes, it is important you take note of your shoe size. And it doesn’t matter if you just recently bought a pair of shoes. One reason why this is important is because your feet tend to change with age and often grow larger and wider. Also, it is possible that one of your feet is bigger than the other. In this case, it is recommended that you buy the pair that fits the larger foot. Additionally, you can take a tracing of your foot with you to the store. If your prospective shoe is narrower or shorter than the tracing, don’t bother buying it. When buying shoes that are meant strictly for work, your best bet is to buy shoes made specifically for your kind of work. For example, if you’re a nurse, you’d do yourself a lot of good by opting for a good pair of nursing shoes. Such special shoes are made with the target wearers in mind, and they usually employ various technologies that will make such shoes perfect for the purpose they were made for. It doesn’t matter what the manufacturers say about the shoe, it is still important that you test the shoes by yourself. Also, you should wear the same pair of socks you wear normally when you go shopping. This will enable you ascertain the comfort of the shoes. The quality of the soles of the shoes is extremely important. The sole should protect your feet from the impact of sharp objects. Also, the cushioning and shock absorbing effect of the sole needs to be consistent irrespective of the type of surface you walk on. It is important you feel the fabric of your shoe between your fingers before you make a purchase. In this way, you can tell to an extent the quality of the material. Also, some materials can be irritating to your foot. Hence, it is important you ascertain the components of the shoe you’d like to buy so that you don’t end up with uncomfortable shoes. One of the major problems with wearing the wrong pair of shoes is the negative effect on the toe. One of such signs is the bruising of the toes which could escalate to more painful conditions. You can ascertain the comfortability of the shoes when you stand in them. Also, press gently the top of the shoe to make sure you have at least a half-inch of space between your longest toe and the end of the shoe. This will give room for your foot whenever you press forward while walking. Also, you can wiggle your toe to be sure there’s enough space in the shoe. However, you should take note of the width of the shoe as well. If the shoe has enough toe space but feels narrow, it can end up being the wrong shoes for you.